Cobalt Moretti Murano glass over 24kt gold foil in an approximately 8mm round with a 1mm hole. The bright colors of authentic Murano Glass over the 24kt gold foil give them a rich look. As they are handmade, the actual size varies about 1mm. 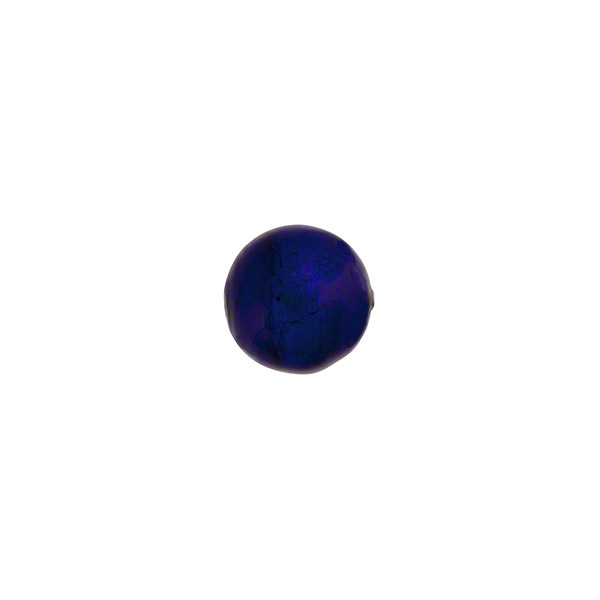 Authentic Murano Glass bead, great for accents, to end your necklaces and wherever you need a small economical bead.